If you are looking for a fantastic day out, one that you can enjoy with friends and family or surprise a loved one with as a unique experience gift, then the Kew Gardens and Palace Experience in London is for you. Kew Gardens is so much more than the world’s most famous garden - within the 326 acres of this UNESCO World Heritage Site is a hidden world just waiting to be explored! During this wonderful experience the world’s largest and most diverse botanical collection is opened up to you; you can stroll through secret rainforests, discover stunning extensive gardens, admire beautiful lakes and lily ponds, walk beneath tall tree canopies, and see the first art galleries in the world entirely dedicated to plants. As if that wasn't enough, you'll also be able to explore the spectacular Kew Palace and learn all about its fascinating history; wander through bedrooms that were once slept in by royals, admire lavish dining rooms and the newly restored Georgian Royal Kitchens. This experience truly is a day out you will remember forever, whatever the weather - the Princess of Wales Conservatory features ten different climate zones and the glasshouses reach up to 27°C, so you can enjoy tropical warmth whilst staying in the UK! 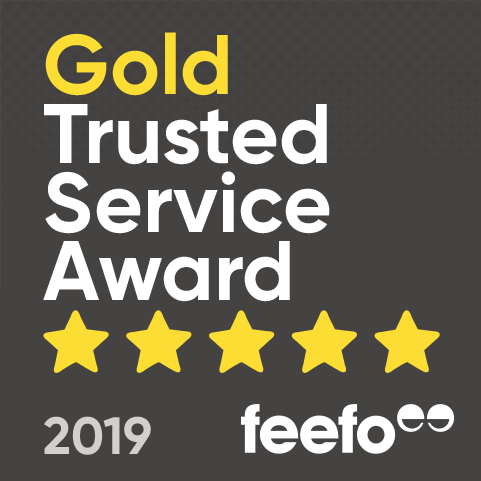 The four brilliant cafes and restaurants on site really allow you to make a day of it, and this experience can be enjoyed by adults and children alike. So whether you want to use this day out as an extra special experience gift for a friend or would rather enjoy it yourself, nothing about Kew Gardens will disappoint; escape the hustle and bustle of everyday life and explore this beautiful paradise hidden within the capital city! The Kew Gardens and Palace Experience in London is available from February to December. The Kew Gardens and Palace Experience in London is wheelchair accessible and features flat paths. There is also lift access to the Treetop Walkway and all floors of Kew Palace. The Kew Gardens and Palace Experience in London opens from 9:30am every day; closing times vary depending on the season. 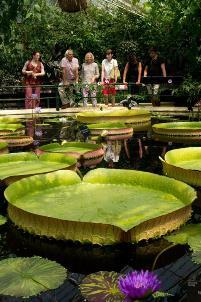 Participants: The Kew Gardens and Palace Experience in London is for 1 participant. The Kew Gardens and Palace Experience in London is suitable for groups; and children under 4 go free. There are four cafes and restaurants within the gardens. You should wear whatever you are comfortable in for your Kew Gardens and Palace Experience in London - although flat shoes are advisable! The Kew Gardens and Palace Experience in London is not affected by the weather. 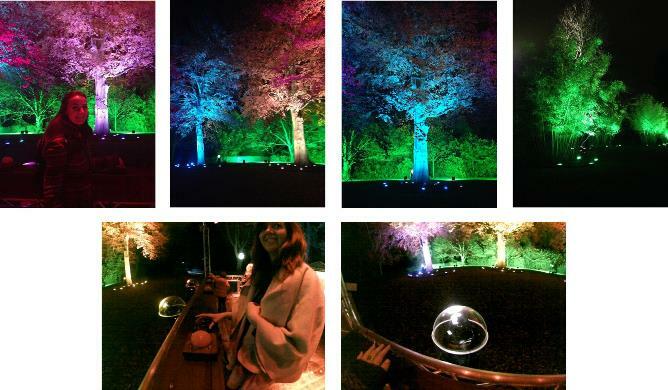 On Wednesday the 27th of November, Helen and I were invited to Kew Gardens for their ‘Christmas at Kew’ event. The UNESCO World Heritage site was opened in the evening for a special Christmas-themed trail, featuring art instalments, light shows, vintage fairground rides, a Christmas Village selling local craft goods, and Santa’s Grotto. The idea of the evening was for children to follow the trail, collecting the names of important plant species and meeting members of the Royal Society of Plant Whisperers along the way. Arriving at 5:30pm, we were shown through the Christmas village by friendly staff, and directed to the café that was offering mince pies and mulled wine (Helen doesn’t eat sugar so I got her mince pie, score!) Once the trail opened, we were free to walk it at our own leisure. Somehow Helen and I managed to begin at the end, so we were walking against the current of people, but I’m sure we got the same experience… Maybe. Starting at the huge Palm House, we were treated to a fabulous light show that illuminated the greenhouse in different colours, allowing us brief glimpses at the enormous plants within. Opposite the Palm House was a flat lake, with a spotlighted statue standing alone in the middle. The whole scene was somewhat serene, standing in the dark silence, we felt very peaceful sipping our wine and embracing the fresh air. Moving on, we came to a smaller greenhouse that was home to the first art instalment (or last if you do the trail in the right order). A large, artificial lily was suspended from the ceiling, reflected in a smooth pond below. When I first entered the greenhouse I didn’t realise there was a pond inside, I thought it was a huge mirror, the reflection was that perfect. It was only when a drop of moisture fell from the lily that the mirror broke and the ripples distorted the image, showing us that it was water after all. The trail between each feature had a very surreal feel to it, the only light came from old-fashioned street lights that cast patterned shadows across the ground, and the occasional tree that was illuminated by a coloured spotlight. For the first half of the trail, Helen and I were essentially alone, as everyone else had started from the other side. This added to the surrealism because it was just so quiet! Dotted along the route were gramophones that played recordings of the Royal Society of Plant Whisperers, it felt like a scene that wouldn’t be out of place in Alice in Wonderland. Rounding a corner, we came across the Fire Garden, a large enclosure of 300 flaming torches set out in Fibonacci’s number sequence, created by Mandy Dike and Ben Rigby. The path took us around the edge, where speakers played eerie music, creating a mysterious atmosphere. The instalment represented patterns and geometry in nature, whilst also being beautiful to watch (and warm to stand by). Again along the streetlight-lit path, we came to the halfway point. Here there were a set of buttons that when pressed produced a loud drum beat, and changed the colour of lights pointed at enormous beech trees, quite the visual show! There was also a food and drink hut, for those who needed a hot chocolate to make it the other half. A little further down the path was a bamboo garden, which featured Indonesian music made from bamboo instruments. The last stop along the way (or first if you’re doing it right) was a beautiful lake, with a long wooden bridge for crossing. Halfway across the bridge we encountered our first member of the Royal Society of Plant Whisperers, who explained to us a bit about the water plants at Kew Gardens, and how they’re working to conserve them. The talk was essentially for the children, so there was a lot of magic involved, but the essence of the speech was interesting. Passing King William’s Temple, we arrived back at the Christmas Village, just in time to have a go on the vintage carousel and helter-skelter! (So worth it). That concluded our evening at Kew Gardens, the whole walk took about an hour, with extra time for rides and food. Unfortunately we didn’t get to visit Santa as he was on his tea break when we had a look, but I’m sure it would have been spectacular. A great event for children as it was both entertaining and educational, and a great way to get into the Christmas spirit! Huge thanks to Kew for inviting us along and being so accommodating. 1) Please explain your journey as ‘Kew Gardens’ so far. I joined Kew Gardens a year ago after having spent almost ten years living and working in New York City. Kew is London’s largest UNESCO World Heritage Site – a world away from the bustle of city life! I love welcoming people to Kew Gardens. Even on a busy day when we have over 20,000 visitors, it’s still very easy to lose yourself in the arboretum, woodland garden and conservation areas. The best part of my job is seeing visitors in complete awe when they see our giant water lily pads – some of the largest in the world. A giant lily pad (Victoria cruziana) can reputedly take the weight of a 10-year-old child! The extraordinary Waterlily House is not to be missed. 2) What has been the biggest or most memorable event you’ve provided? The most spectacular event is our annual orchid festival in February (8 February through 9 March 2014) when the Princess of Wales Conservatory is filled with a sea of glorious tropical flowers. In fact, all of our glasshouses are just stunning in winter as they reach up to 27°C. My favourite is the Palm House as it’s like strolling through an exotic rainforest. Don’t forget to climb the spiral staircase and walk along the galleries overlooking magical palms and steamy interiors. 3) Is there any inside information you can give us? We have a hop-on, hop-off Kew Explorer tour that winds its way around the entire Gardens. As Kew stretches almost a mile from one side to the other, I’d definitely recommend taking the Kew Explorer as it’s a neat way to see everything and get everywhere. The driver gives a live commentary (featuring lots of fun facts and a few corny jokes) so it’s also a great introduction to the world’s most famous garden. For the first time, this year everyone can visit Kew Palace and the Royal Kitchens at no extra charge. For me, Kew Palace is an absolute gem… It was the summer residence of King George III, Queen Charlotte and their 15 children, and is set within Kew Gardens. 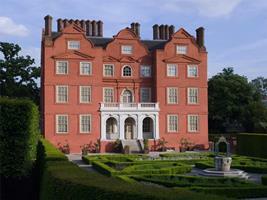 Kew Palace is Britain’s most intimate royal palace and offers a glimpse into Georgian royal life. It was King George III’s mother, Princess Augusta of Wales, who founded Kew Gardens over 250 years ago, so you’ll stumble across interesting Georgian relics throughout the gardens including the Pagoda, Orangery, Ruined Arch and Temple of Aeolus. You’ll also find Queen Charlotte’s Cottage nestling in the Conservation Area. With such significant Georgian heritage, we look forward to welcoming future royal Georges to Kew!